In late February of 2010, Geoff Roes and his family headed south from their home in Alaska for an eight-week road trip to the West Coast of the United States. Along the way, Geoff planned to race two classic North American ultramarathons, the Way Too Cool 50k in March and the American River 50 Mile in April as part of his preparation for his first attempt at the Western States 100 in June. Roes was coming off an extraordinary 2009 season during which he notched impressive wins at the HURT 100 Mile, Wasatch Front 100 Mile, and Bear 100 Mile, as well as an incredible course-record performance at the Mountain Masochist 50 Mile, a race about which he says “was the strongest and most in control as I have ever felt in a race. I felt like I could keep pushing harder without it really taking that much out of me.” For all this, he was named UltraRunning magazine’s 2009 (North American) Ultrarunner of the Year. At the 2010 Way Too Cool, the race was whittled down to a three-man battle between Roes, Max King, and Leor Pantilat. Roes was surprised with his ability to stay with the lead group and at mile 26, on the steep climb up Goat Hill, he surged into the lead. As he pulled away on the gradual descent to Highway 49, Roes felt good until he realized he was off course. Rather than turning left on the Western States Trail at the quarry, he turned right and ran all the way down to the American River. It was at the junction of the Western States Trail and the Quarry Road that Roes realized he was off course, in the very same spot where Jim Walmsley went off course at Western States in 2016. “Way Too Cool was actually the hardest one for me to move on from. I thought I was going to win that one.” Ultimately, after retracing his steps back up from the river, Roes finished third at Way Too Cool behind Pantilat and King. Roes started Western States conservatively but within the first 20 miles realized he was strong enough to stay with the lead group. By mile 40, that group was whittled down to three runners, Kilian Jornet, Anton Krupicka, and Roes. All of them were running their first Western States and at Last Chance (mile 43) they came in together on course-record pace. Through the canyons, Jornet and Krupicka steadily pulled away from Roes with a two-minute lead at Devil’s Thumb (mile 47), a three-minute lead at El Dorado Creek (mile 52), an eight-minute lead at Michigan Bluff (mile 55), a 12-minute lead at Foresthill (mile 62), and a 15-minute lead at Peachstone (mile 70). By all accounts, it had turned into a two-man race. But Roes was not done yet. “By Green Gate (mile 80), I felt phenomenal. I was in full-on tracking mode. I felt like I was surging a lot.” Before the next aid station, Roes stormed past Jornet and set his sights on Krupicka. Unbeknownst to Krupicka or his crew, Roes was reeling him in and taking huge chunks of time back, closing to within three minutes at Auburn Lakes Trails (mile 85) and one minute at Brown’s Bar (mile 90). On the climb up to Highway 49 at mile 93.5, Roes passed Krupicka. In the end, Roes won the 2010 Western States 100 in a then-course-record time of 15:07. Krupicka came in six minutes later and Jornet just under an hour later. 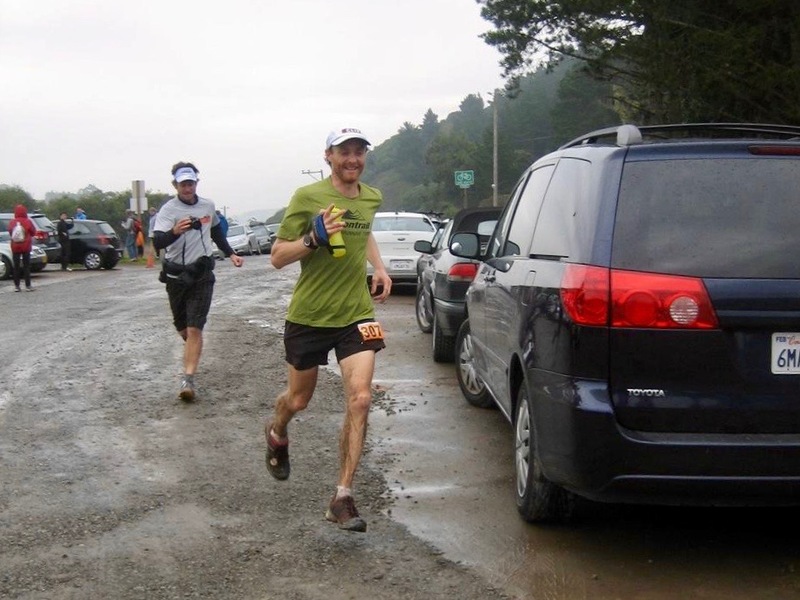 The second half of Roes’s 2010 saw wins at the Crow Pass Crossing, Run Rabbit Run 50 Mile, and The North Face Endurance Challenge 50 Mile – Atlanta. It could have been even better for Roes had UTMB not been stopped after only a few hours due to weather as he was clearly primed for that and the re-scheduled shorter-distance option the next day was not in the cards. In the end, Roes was named (North American) Ultrarunner of the Year for 2010, for the second year in a row. Looking back on Geoff’s 2010 season now, as well as the second half of 2009, I am of the belief that it may stand the test of time as one of the greatest 18-month periods for an athlete in ultrarunning. What do you remember about Geoff Roes’s 2010 ultrarunning season? Do you recall the now-famous three-way race for the win at the 2010 Western States 100? Thanks Andy. Fun to reflect on a truly magic era. Wow. I knew 2010 was an epic battle, I failed to realize Roes passed Tony that far into the race. Brings me to my next point, why the hell can’t I find Unbreakable anywhere online?! I love these look-back features, but man do they make me feel a little old. Maybe Unbreakable makes that version of Western States feel perpetually recent, but it sure doesn’t feel like it should be 9 years ago. Still, the dates are what they are; similarly, looking at the numbers, I’m not sure anyone has ever nailed the 100 mile distance (on trail) quite like Roes did in his prime. It reminds me a bit of what Sammy Wanjiru did with the marathon; certainly neither were the first to really race their respective distances, but there was something about their push that felt novel and maybe a little transgressive. I also can’t help but remember Roes’ training posts, documenting some really massive days, and seeing him mix it up with guys in racing flats while wearing Mountain Masochists. Mostly I hope he’s back to putting in enough miles in enough mountains to feel good, physically and emotionally. I know the price for his performances turned out to be pretty high, but the man deserves to run without carrying that debt. When I think about my hero’s in ultra running, Geoff is always the top choice. Geoff is an example of a man who loves the outdoors and running allows him to see more of it. The coolest part is that he is humble, a true family man and gives back to his small community. Every time I hear that song from Unbreakable (Outro) I pretend I’m surging past Anton :) Thanks Geoff for inspiring me! Probably not. He won some of the harder US 100 milers in that time which is impressive but almost all races lacked international competition. Not one race was outside of the US. Geoff Roes will be remembered for his spectacular burnout. Markus, I hate to say it because I always liked Roes, but I agree. I think back to his decline, many trips to many doctors to get a diagnosis of some sort, the attempted comebacks and subsequent health deterioration which seemed quite scary. It was a very typical burnout that you see in talented athletes, but since it was so public I hope many people gained some wisdom from what happened. I know that it really opened my eyes. Unfortunately, Mr. Roes’ story is as notable for his excellence as it is a tale of overtraining/overracing. I think we can admire the former and learn from the latter. Nothing lasts forever my man. He achieved heights most of us will never comprehend. Just like an NFL running back, they’re “old” by 27-28 and mostly out of the league by 30. Only thing in life that is guaranteed is death and taxes. Cherish the short time that we have. I strongly disagree. He beat the best mountain runner in the world at Western States in 2010. Oh yeah, and Anton. In those days, the sport was no where near as international as it is now. You cannot penalize Geoff for who was not at the races he ran and won. He beat the competition. All that aside, how long have you been watching the sport of ultrarunning? Anyone involved in ultra at the time will tell you Geoff was the best MUT runner in the world for a period of about 2 years. Finally, given his extraordinary record of excellence, your comment that he will be remembered for his “spectacular burnout” is not only inaccurate (look up his results–they are remarkable) but also deeply cruel. I am guessing you have been in ultra maybe 3 years…..
You are right you can’t blame the runner who is showing up at races and Geoff was a very good MUT runner. The best only in the US. You are forgetting the rest of the world. If there is one US MUT runner who dominated the running world for a long time, only one name comes to mind. Anne Trason. I am running ultras for over 32 years, by the way. Indeed for an < 18 month stretch, Kouros ran Spartathlon and (like Kilian's debut at UTMB) won so convincingly, he was accused of cheating. He ran an absurd 21:53:42 as his debut ultra in 1983. In 18 months time he shattered the modern era 6 day records, breaking 1000 km two times (! ), lowered his Spartathlon CR by 90 minutes to 20:25:00, set a WR in 48 hours running 281 miles (*split* 100 miles in under 12 hours two different times at 48 hr races in that stretch), and ran the Sydney to Melbourne 960 km in just over 5 days. No offense to Anton, but he was never the “best mountain runner in the world”, just the most recognized for a few years. yes, he was fast…..just sayin’. another fast guy with a short shelf life. Karl and Markus, when I said the “best mountain runner in the world,” I was referring to Kilian. As you know, Geoff beat him (and Anton) at the 2010 WS100. Also, Karl, let’s not forget: Anton was pretty freaking awesome in the mid-2000s up to about 2010 or 2011. He was especially dominant at the 50-mile distance. Easy to forget as he’s been largely out of the sport for a while. It was fun back then watching “Unbreakable” for a peak at the course and race itself, before finally getting out there in person. My favourite part of the race wasn’t in the movie, though — the race for 3rd between Kilian and Nick Clark. He may have wished the places to have been swapped, but Nick instead finished just a minute back while being able to jog with his young son on the track. Priceless! I remember getting passed by Geoff at the North Face race in Atlanta in 2010. The course was confusing, shaped like a shamrock. Geoff and a group of gazelles (pretty sure Nikki was in that group as well) did the loops in the wrong order. I was on course and leading the pack that went the correct direction. When I got passed by Geoff I was in awe. It was an uphill section along a creek. I’ll never forget it. I was like “whoa this guy is flying”. Most of us never get the chance to get passed by an elite runner like Geoff. Most of us see them toeing the line and that’s it! So I guess in that way I consider myself a little lucky he went off course that day. Fantastic post. I miss him. love these ‘lore’ of ultrarunning tales! keep em coming ajw! Thanks Trevor! I am really enjoying talking to the folks from the days of yore and I hope to do one a month for the foreseeable future. Where are all the quotes from? I also love these retro reports, AJW. As for my own memories, 2010 was my first ultra season and, at my first 50m, TRT about 5 weeks post WS, the level of exuberance from folks there talking about what they had witnessed at States was truly memorable and a portent of your reflections now 9 yrs later. I also have clear memories of meeting Geoff (and you!) the following year at the first UROC in VA, which Geoff also won — though Wardo’s wrong turn did not hurt Geoff’s cause! Sadly, his struggles began shortly after. Set the still-standing CR at that 2009 Wasatch too! Beastly. Indeed, 18:30 may not be touched there for awhile. Let’s not forget Jim Vernon in the photo too. Miss him as well. After my first ultra in Sept of 2010 (having been inspired by Geoff at WS that Summer) – as a young ultrarunner – I emailed Geoff asking for advice and within hours he replied with timely advice on training and racing ultras. I’ve always admired how he gave back to the sport – that even with all his success – it seemed – he was never too big to connect with anyone. That kind of mentorship and investment in future generations of ultrarunners is a foundational piece that is pivotal in the right kind of growth needed in the sport. Thank you Geoff! In my competitive years of 2010-2015 you had a great impact on me! Looks like i will be breaking out the unbreakable DVD tonight! 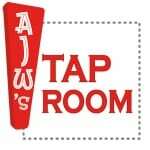 Thanks AJW! Thanks for the reminder. Unbreakable is a great movie that I’ve watched for inspiration many times while training, and in the days leading up to an ultra. It captures well the feeling of comradely shared in the ultra running community. Watching these four undefeated ultra runners, Geoff, Anton, Kilian, and Hal, battle it out on the trails still is inspirational. Yes, Geoff had an amazing run of ultra records. It’s so inspiring to think about the new Woman and Men are doing in our sport. I can’t wait to see what 2019 will bring, As far as course records and wins. Will Jim Walmsley defend His championship at Western States. He or anyone else would have to see a perfect day to beat His course record. Camille Heron and Courtney Duwalter will be so exciting to follow as well. and my final comment……Geoff’s best record is sitting on the shelf, and will likely NEVER be broken, it was better than his Western States win, better than his 15:07, and better than any other 100 he ran. Can anyone name it? I know I can. Good guessing. I don’t count 50’s. :-) But yah, his Wasatch 18:34 was an incredible performance on what was Wasatch’s hardest course. It’s different now. I ran 19:12, which is still the second fastest time, but he really smoked the last 25 as did I, but he was about a minute per mile faster, which blew my mind. He was a great athlete. He actually told me one time that he excels at a sport at a high level for a few years, then loses interest and moves on….His issues, have always seemed kinda bunk to me, but I do wish he’d be back. Great dude, great runner, great person. Karl, what would you say is more stout/unbeatable….Geoff’s Wasatch CR or Jim King’s AC CR? I’ve never run AC, but I certainly know that record is known to be unbreakable. At Wasatch, the 1834 that Geoff ran was on the hardest course that finished at Homestead resort. The course now starts at a different place, taking away Chinscraper, and that ridge early, then finishes much easier. Yah, the record “could” go down but it’ll need to be at least an hour faster to compare to Geoff’s run that year. Noone recently has come remotely close, not even near under 20, but the comp, although close during the race has not been as stout as it could be. I’d love to see the countries’ best run Wasatch, but it’s in Utah, we fall under the radar. I’ve run AC four times and Wasatch twice (on the old course to which Karl refers). O’Brien’s AC record is the best male CR in ultrarunning in my opinion and may never be broken. Only Hal Koerner has come within an hour of 17:35 and that was 10 years ago. Carpenter’s Leadville is second and Roes’ Wasatch is 3rd. Kinda hope Geoff doesn’t read this. Trying to minimize what he did, seems ridiculous. Dude was the man for awhile. The stuff he did racing was stuff that 99.99% of us can only admire. Leave the guy alone. Seems pretty happy being off the radar. I really love these posts Andy! As someone who’s only been involved in the sport for a few years, I really do appreciate the opportunity to take in some history and read about past greats. Thank you! AJW is easily the GOAT when it comes to speaking to Ultra history. The passion and perspective offered to us for free is amazing. Thanks AT! If you are interested in ultra history I also suggest you look up Davy Crockett and his history pieces. They are outstanding.